Clinicians now have a better picture of what may be the optimal first-line therapy for patients with metastatic non-clear cell renal cell carcinoma (NC-RCC), according to results from a randomized phase 2 international trial of everolimus compared with sunitinib. Investigators reported at the 2015 American Society of Clinical Oncology Annual Meeting that sunitinib was superior overall compared with everolimus at delaying disease progression. However, it was also associated with a higher rate of severe toxicity1. The researchers found that sunitinib was more effective for papillary-type kidney cancers and for better prognosis patients. Patients with chromophobe and poor-risk tumors treated with everolimus had a longer median progression-free survival (PFS) than patients treated with sunitinib. “We wanted to know which was better. We don’t a have a standard of care,” said lead study author Andrew Armstrong, MD, who is the co-director of the Genitourinary Oncology Research Program at Duke Cancer Institute in Raleigh, NC. Known as ASPEN (Afinitor [RAD001] vs. Sutent (Sunitinib) in Patients With Metastatic Non-Clear Cell Renal Cell Carcinoma), this trial included 108 patients (57 patients received everolimus and 51 received sunitinib). 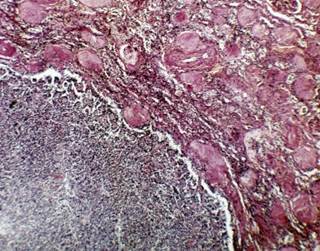 None of the patients had prior systemic therapy and they were divided into three categories of non-clear cell kidney cancers: metastatic papillary, chromophobe, or unclassified histology. All the patients were enrolled between September 2010 and October 2013 across 17 sites and three countries. The median age was 63 and 75% of the patients were male. Among the 108 patients, 66% had papillary disease, 15% had chromophobe, and 19% were unclassified. The patients were randomly assigned to receive either everolimus or sunitinib until their tumors progressed. Dr. Armstrong said during the study period there were 87 progression-free survival (PFS) events, 53 deaths, and two patients remaining on study treatment. Sunitinib improved overall PFS, meeting the primary endpoint and sunitinib improved PFS in good/intermediate risk and papillary and unclassified patients. However, that was not the case in patients with chromophobe and patients classified as poor risk. They did a little better on everolimus. The median PFS was 5.6 months in patients treated with everolimus compared to 8.3 months in the sunitinib group. Because these cancers are actually very different diseases with different genetics there is no one size fits all approach. Dr. Armstrong said these two agents have different mechanisms of action and so it makes sense that they would have different response rates for these tumors. He pointed out that more than 100 patients in this study have donated tumor tissue, establishing the largest repository of non-clear cell kidney cancer tissue. Dr. Armstrong hopes this will lead to the development of new drugs and biomarkers for non-clear cell patients. Toni Choueiri, MD, who is the Director of the Kidney Cancer Center and Clinical Director of the Lank Center for Genitourinary Oncology at Dana-Farber Cancer Institute in Boston, MA, said this study is another step in the right direction, but not very surprising. He said similar studies have shown the same trend favoring sunitinib over everolimus in patients with NC-RCC. He said it is notable how low the overall responses were in both groups. Dr. Choueiri said since few patients will experience long-term clinical benefit he hopes this study and others like it will lead to biomarkers and novel targets in these rare subtypes of kidney cancer. Mayer Fishman, MD, PhD, of the Moffitt Cancer Center in Tampa, FL, said the use of the trial to get tissues is paramount. Researchers are trying to identify molecular themes that can be applied conceptually across cancers from nominally different histologic categories. 1. Armstrong AJ, Broderick S, Eisen T, et al. Final clinical results of a randomized phase II international trial of everolimus vs. sunitinib in patients with metastatic non-clear cell renal cell carcinoma (ASPEN). J Clin Oncol. 2015;33:(suppl; abstr 4507).